The Verdict: The Capital One® Platinum Credit Card (Capital One is a WalletHub partner) is one of the best starter credit cards on the market, particularly for those who lack an active college or university email address. Access to student-branded offers expands your options quite a bit in an otherwise uncompetitive segment of the market, but that could be construed as a moot point when you consider that Capital One Platinum offers the very two things that people with limited credit need most: approvability and no annual fee. When you have fair or limited credit, there’s no sense in shooting above your station and applying for a credit card that requires good or excellent credit for approval. That would only serve to make approval for a more suitable card more elusive after you get declined. There’s also no reason to pay for plastic if you can avoid it, as doing so won’t yield fruitful-enough terms to be worthwhile until you have above-average credit. Instead, you should open a credit card as soon as possible to get positive information flowing into your credit reports, and if you can find one with no fee, all the better. The Capital One® Platinum Credit Card fits that description to a tee, which is ultimately more important than its lack of rewards and low introductory interest rates. No credit card is perfect, after all, and it would be asking an awful lot of any credit-card issuer to offer such valuable perks to relatively unproven users at no charge. In short, you need to show credit-card companies something before they’ll show you the money. The best you can hope for is to avoid paying them anything in the meantime, and the Capital One® Platinum Credit Card excels in that regard. No Annual Fee: Most of the nonstudent credit cards available to people with limited or no credit either charge an annual fee or require a security deposit. 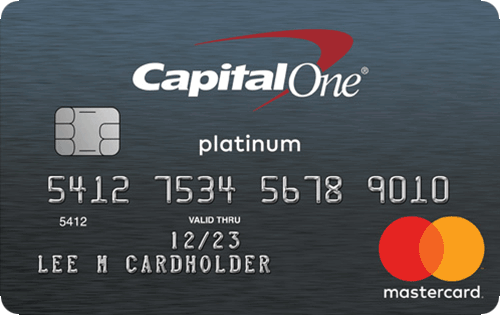 Capital One’s Platinum Mastercard is therefore a rarity that stands out for something it doesn’t have, promising to leave you with a better credit score and more money in your pocket when it comes time to graduate to a higher plateau of plastic. “Credit Steps” Spending-Limit Increase Program: If you pay your first five monthly bills on time, you will be considered for a credit-limit increase, which is a big deal considering how low the credit lines on fair/limited-credit credit cards tend to be. And while you aren’t guaranteed to actually receive a higher credit limit, most issuers won’t even promise to contemplate such a change according to any disclosed schedule.Paying on time simply means submitting the minimum required payment by your due date each month, but it’s best to just pay your full balance in order to avoid interest charges. In addition to helping you avoid late fees, making timely payments and securing a higher credit limit will benefit your credit score by strengthening two of its crucial components: your payment history and your available credit. No Foreign Transaction Fee: The right credit card is the perfect companion for international travel or commerce. For one thing, all credit cards have $0 fraud liability guarantees, making you far less susceptible to pickpockets and fraud. Visa and Mastercard also offer exchange rates that are significantly cheaper than what banks or airport kiosks charge to convert hard currency. In fact, a Visa or Mastercard credit card that doesn’t charge a foreign transaction fee can save you an average of more than 6% on every purchase processed abroad. Capital One Platinum is one such offer. No Rewards: A strong rewards program would be the cherry on top of this delectable credit sundae, but it’s still satisfyingly filling without such a garnish – at least as far as your credit report is concerned. Sure, a card with no annual fee and no rewards isn’t automatically better than one with a modest fee and modest rewards. But it’s more likely to be, considering how difficult it is to out-earn fixed costs in the face of the low credit lines and scarce rewards for which “limited-credit” credit cards are known. Fairly High Regular APR: The Capital One® Platinum Credit Card’s 26.96% (V) APR is higher than the average rates charged by credit cards for people with fair credit (22.57%), secured credit cards (18.81%) and store credit cards (25.74%). That’s not terribly surprising, considering the modicum of experience that people with limited credit have under their belts and the fact that issuer risk is not capped by a security deposit or limitations regarding where the card can be used. And it doesn’t mean that failing to pay your bill in full one month would ruin you financially.However, it does indicate that this card was not built for financing and that revolving debt will prove to be quite expensive over time. As such, it should be avoided whenever possible. No Reduced Introductory Rates: You probably wouldn’t expect to find 0%, or otherwise reduced, introductory interest rates on a credit card catered to credit newcomers that charges such a high regular APR. And the Platinum Card from Capital One won’t prove you wrong in this regard. It doesn’t have any, further illustrating its incompatibility with financing purposes. $300 Minimum Credit Line: If you get approved for the Capital One® Platinum Credit Card, your initial spending limit will be at least $300. And with no processing fees or annual fees to worry about, you’ll actually have the full $300 at your disposal. Of course, you could be awarded a higher limit right out of the gate, depending on the specifics of your credit history and disposable income, but having at least $300 in available credit to your name will be sufficient to cover certain everyday expenses, minor financial emergencies and early credit-building efforts. Free Credit-Score Access: This is a benefit conferred upon all Capital One credit card customers, not just those packing Platinum, but websites such as WalletHub.com offer that feature plus a whole lot more. This includes free credit reports updated on a daily basis and 24/7 credit monitoring. I want to thank Capital One, and its staff they security suite is phenomenal in every way. There were attempts to steal from my account from the "Dark Web", the first thing they did is notate on the account that my information had been located on this network by listing an "Alert" on my account. 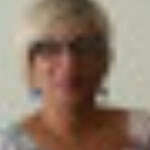 Then of course, two fraudulent activities online was attempted. Capital One immediately declined these attempted purchases, and send this information to me via my email. I am so grateful they are so on top of things and prevented such thievery from occurring. Capital One offers the best any individual could expect from any credit card company. I highly recommend Capital One to all I encounter especially for rebuilding one's credit. Superior service, keep up the excellent work! Not to mention they have an excellent online platform.